Save Seth Orion to your Collection. Register Now! Seth Orion Schwaiger holds a BFA from University of Wyoming. The decidedly figurative style of his sculptures epitomizes the desire to establish an immediate connection with his viewer. 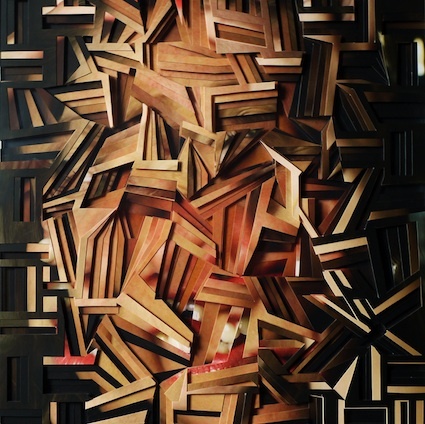 Building on connections such as sympathy, empathy, threat, recollection, humor, and so forth, his more recent work has focused on relationships between the sculpture and the viewer, and their mutual environment. In 2011 Schwaiger was nominated for the The Broomhill National Sculpture Prize. His work has been exhibited in the United States, Britain, and Germany. Loving that nature is combining with the sculptures to make it more pleasing to view and natural but also magical in a secret garden kind of way. I like very much. 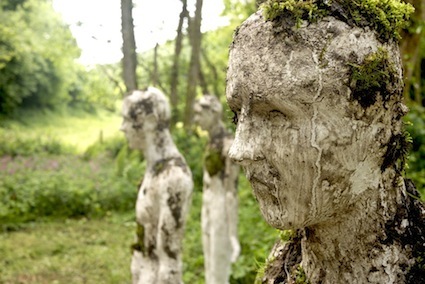 The sculptures are located in the Broomhill Sculpture Gardens in Devon, UK. Past sentry's that time forgot and the Earth slowly devours, the only remenants left from an empire collapsed. Or some mythic people trees made of wood and moss with mudd for blood. 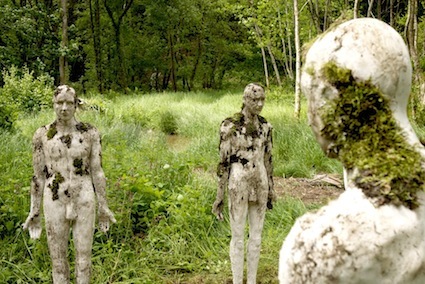 No matter what way you look at it these statues spark stories... I also like amwylyd observation of a spiritual connection. And second the "amazing pieces of art and expression" statement. Huzzah! Really brilliant stuff! What are they made of? Something almost alien like about them. They are beautiful and creepy at the same time.